Since the ideals of the self-defence martial art Aikido and Esperanto are broadly the same, Mireille Grosjean and Dr. Christoph Klawe founded the initiative “AikidEo” in Trier, Germany, on 9 December 2012. 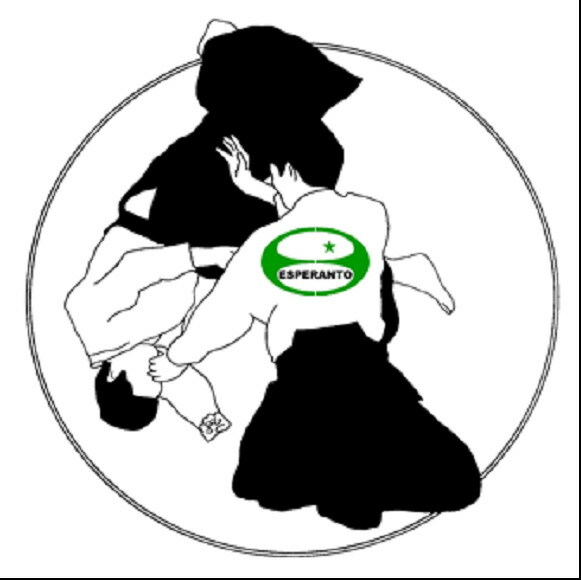 The name of the initiative is derived from the word play Aikido and Eo (the official abbreviation for the language Esperanto). The aim of “AikidEo” is to convey Esperanto to Aikido practitioners and to stir enthusiasm Esperanto speakers for the harmonic martial art. Aikido is an art of self-defence which was derived from Daito-Ryu-Aiki-Jutsu, the secret martial art of the Takeda family of feudal lords, by the Japanese Morihei Ueshiba (1883-1969). Morihei Ueshiba is commonly adressed by Aikido practitioners as “O Sensei”, i.e. “Honorable Teacher”. Because of his religious ideals Morihei Ueshiba intended his martial art to be a means to promote peace: by using Aikido it should be possible to convince an attacker, that the true aim of human beings is to live peacefully together in harmony with the powers of heaven and earth. From the destructive techniques of the retainers of the house of Takeda Ueshiba created a system which after a case of conflict would permit an option of reconciliation. Aikido itself does not contain techniques of attacking, but teaches throws and wrist blocks, which guide the energy of the attacker in another direction and neutralize it. The international language Esperanto facilitates the communication between people who have different native languages. It can be learnt considerably faster than national languages – within a third of the commonly necessary time or even less. After its first publication in 1887 Esperanto became a living language with many applications. We recommend reading about the language itself in Wikipedia. How Aikido and Esperanto are historically linked you will learn here.